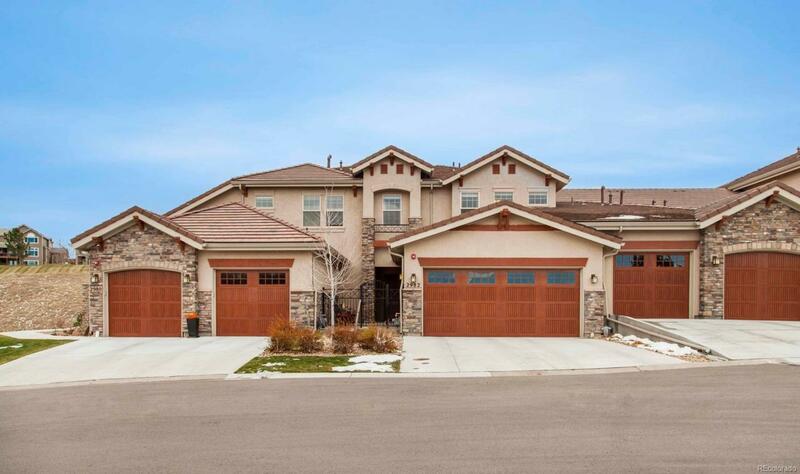 Lovely 2-story townhome with walk-out basement in Calmante Neighborhood of Superior. From the front gated courtyard entry to the open floorplan inside, this townhome feels more like a single-family home. The kitchen is spacious and has granite counters, stainless appliances and a large island as well as a pantry and breakfast nook. The dining and living rooms are open concept with wood flooring and tall ceilings. Off the breakfast nook is a serene, covered back deck which looks out onto the open space and walking path and has a gas line and is wired for sound. There is a main floor office with French doors. Upstairs is the master suite with 5-piece bath & large walk-in closet, 2 additional bedrooms and laundry room. The walkout basement has a large rec room wired for surround sound and a wet-bar with cabinets and beverage refrigerator. There is a bath and bonus flex room. Enjoy the views of the rolling hills & mountains. Easy access to main roads, restaurants, shopping & more.